SimLeader helps you meet the new challenges facing international airports. 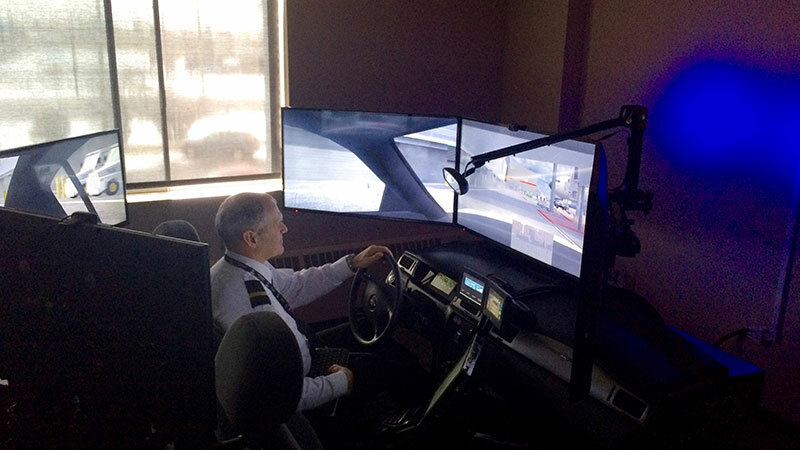 Our immersive simulations help educate your staff on good airport practices. Training your employees on aviation requirements will allow you to provide a more secure and regulatory environment. Our exclusive 3D scanning technology provides you with highly realistic learning environments. It is possible to recreate all the zones of an airport, as well as its flow of circulation. SimLeader is able to faithfully recreate the airport dynamics as a whole, so as to avoid neglecting any factor likely to influence the training. You will be able to evaluate effectively the reactions and behaviors of your staff facing realistic situations. Thanks to our control console, you will be able to have full control of the ongoing simulation in real time. You can therefore spontaneously change the climate, change traffic and introduce unpredictable elements into your simulation scenario. We believe that real-time management is an essential part of training, because it eliminates repetitive and predictable scenarios. Each simulation will consequently be unique, allowing you to do more training.